Looking for a new cleaning business website or your current one needs a refresh? Here are some inspiration and tips to improve your website appearance, reputation and search engine ranking. For many cleaning company owners, a website is often an afterthought. They focus on canvassing, dropping leaflets, social media promotion and door knocking. They may then throw together a basic site on a free service, bad idea! These are all good methods for gaining business but these days anyone looking for a cleaning service near them will do a google search and you want to be showing up in that search so potential customers will click on your site and hopefully become a regular customer. Your marketing focus then should start with your cleaning business website! Your website should be a professional looking and feeling site containing key information about your services, an easy and clear way to contact you and a website design that is user-friendly and mobile-ready. This alone isn’t enough though, to get your website showing in search results you need to include keywords on your pages relating to your services and areas covered. The content needs to be well-written and SEO optimized. If you take a set it and forget it approach no one will even know your website exists. Search engine optimization is a complex task with many elements but very basically it means ensuring you have the correct keywords on all your pages, that your pages are structured correctly and that your images are optimized. 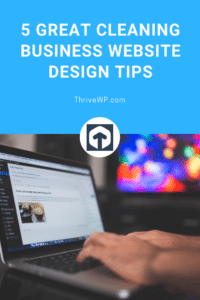 Don’t think about how you like your website or how pretty it is and how you love that flashing transition effect when you scroll the page. None of this matters to your visitors. They are looking for one thing, a cleaning company in their area that provides the service they want. They also want to know how to get a quote or how much the service is and how to get in touch. Think about those old-school things called business cards. They have a little info about what and who you are, how to contact you and where you are. This is the approach you need with your cleaning business website. This is not to say that is all you need to do for ranking, oh no there is much more to it than that. From building citations to ensuring your site actually functions well and is looked after by a good WordPress Care Plan. You want to be looking at clean and simple website templates and designs. Your content needs to be clear, informative and relevant. Yes, you could tell your customers all about your cleaning services life story but don’t fall into that trap. Keep it simple, ensure your homepage gives a general outline of who you are, what you do, and how they can get in touch. You should have a few relevant images on the page, links to your various cleaning service pages and clear contact information. 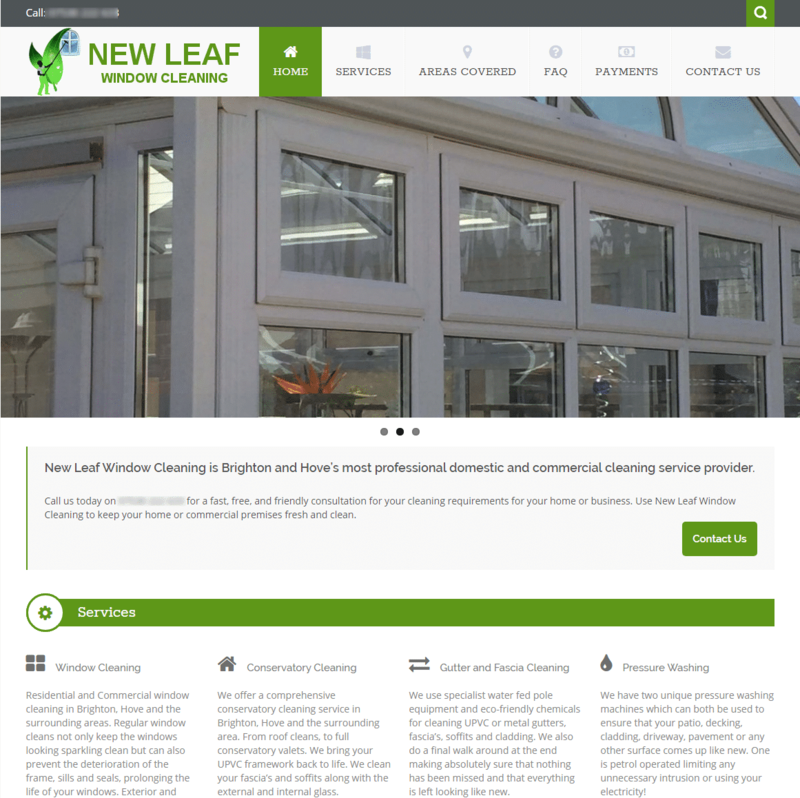 Take a look at this window cleaning website design we did recently for example. The menu is clear and simple. There are two clear ways to get in contact, the image clearly depicts what the service is and the text is structured in a way that is easily readable. You only have a few seconds when someone visits your website so you don’t want them to be leaving because it’s slow loading, cluttered or does not contain the relevant information. Keep your text in clean and easy to read sections not just one massive body of text. People will not stay to try and figure out how to find things. If it is not immediately obvious how to navigate around your website they will leave in a flash! Ensure your menu is clear and uncluttered. A tonne of dropdown, flashy menu transitions is not a good idea. You will also want to ensure in addition to your navigation menu that you add links to other pages on your site within content, add these naturally to the content. This will also help Google navigate the site and include these pages in its search engine results. 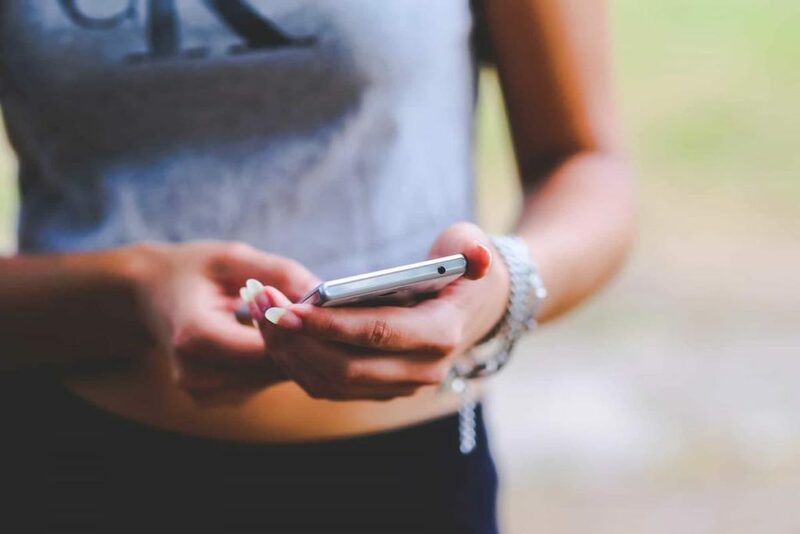 You should include a clear contact number and email on your website and if possible a contact form on your contact page so there are no extra steps for your customer to take. It’s much easier for them to click on the contact page and fill in the form than it is to get your email address open their email programme and email you. 5. Is the cleaning business website design user-friendly on all devices? We are fast approaching a mobile-first generation. What this means is that there are now more people accessing the internet via mobile devices than desktop, so it is hugely important that your cleaning company website design works well on all devices and is easy to navigate on all of them. It’s all about your website users and you need to ensure they can use your website regardless of the device they use. This is why you should always ensure your chosen website design is mobile responsive meaning it will adapt the content and design to the device it’s being viewed on. Here are a few questions you should ask yourself before choosing a website theme or getting a new cleaning business website design. Can a visitor easily find the contact information? Is the text easy to read and the layout sufficiently spaced? Is it easy to navigate the site on a mobile device, including the menu? Does the information on your service pages clearly indicate what you do? Do you have images that compliment the service you provide? Is your content written in a way that will aid search engine ranking?